At Trek West we are a small team of passionate hikers who have created an opportunity for people to hike in one of Australia’s hidden landscapes. 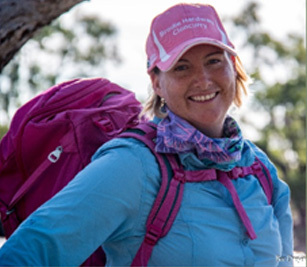 Founded in 2017 by Shelly Hawkins; her vision for the company was to create personalised hiking experiences that will become lifelong memories. Trek West caters for those who want to go beyond the normal and discover the remote heart of Australia. Shelly has lived in remote North West Queensland for the past 19 years and has covered many miles expanding her connection and passion for the region. Shelly’s local knowledge and commitment to the outback creates an exclusive experience which is simply not available anywhere else. Our hikes are based around your interests and schedules which will be tailored to each individual group, ranging from bird watching, taking some time out with some friends and sipping wine as the sun sets, to physically challenging yourself and wanting to cover some long distances, we have your specific requests covered. From the moment we receive your enquiry we will work with you to hand-craft your trek in order to make your experience extraordinary. Click here to view the Trek West location map.